The topic of safety and security in the tourism industry is of vital importance globally. In recent years, and mainly after the 9/11 event, both academics and practitioners have started to look into crisis management issues seeking workable solutions in order to mitigate the negative impacts of safety and security incidences on the tourism industry and affected destinations. 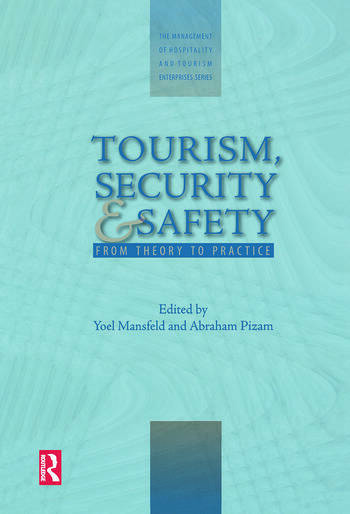 Tourism, Safety and Security: a multi dimensional analysis brings together the writings of international leading academics and practitioners in this field to discuss prevention measures and crisis management options, in incidences of tourism safety and security. The layout and content of the book are aimed at analyzing different types of safety and security problems as well as finding managerial strategies and tactics to address them. Each chapter has a user friendly structure including study objectives, concept definitions and review questions. 6. Do Incidences of Theft at Tourist Destinations have a Negative Effect on Tourists’ Decisions to Travel to Affected Destinations?